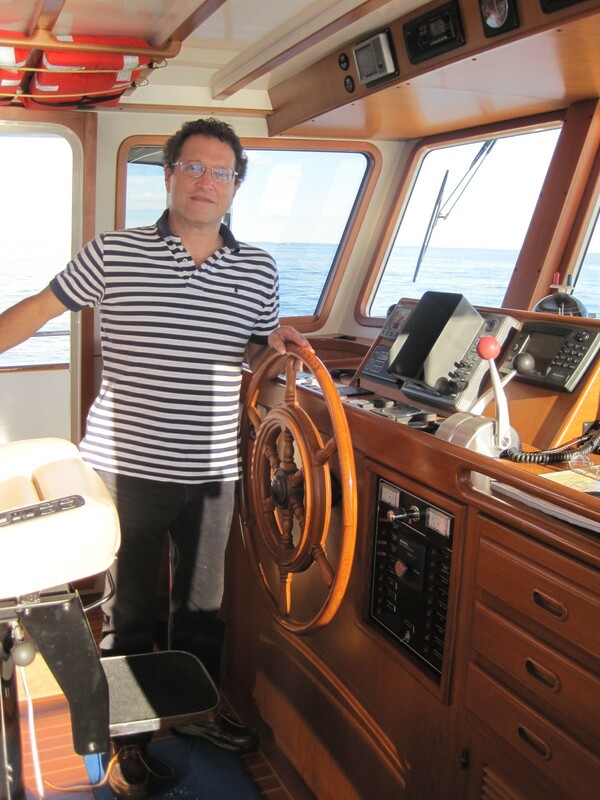 This is Captain Paul Foer from “On the Foerpeak” with more ideas, advice and opinions to help you enjoy your boating. One of the most important aspects of the Rules of the Road that help us avoid collisions come under the term “conduct of vessels” as well as light and sound signals. These various regulations are broken down based on conditions of visibility and types of vessels and angle of approach. The use of the term “right of way” is used—or rather misused a lot, but has not been official or legal for years as far as I understand (see NOTE above). When the risk of collision is determined to exist between two vessels which means that the range is closing while the relative bearing is steady, one vessel is determined to be the stand-on vessel and the other is the giveway vessel. The stand-on is to hold its course and speed. The giveway is to make an early and substantial movement to stay clear. That is pretty much it—everything else is an extension of how to determine which vessel is which, how to display day shapes or lights or use sound signals or the VHF to communicate clearly between two vessels. There is a difference between incorrectly saying one has “right of way” or is “privileged” and the other is “burdened” as it suggests merely for the “burdened” to keep clear and/or the “privileged to act however it wants. NO! In such a case there is no real responsibility for the “privileged” vessel whereas stand-on means it must maintain course and speed to avoid collision. This is true except when in “extremis”, meaning risk of collision is imminent. Giveway means to behave in a specific manner to avoid collision, again, unless in extremis. In such cases, the Rules allow for the Rules to be broken to avoid collision. However, as shown in part one of this series, this does not mean to break the rules and thereby possibly get into extremis. It means to follow the Rules to avoid getting into extremis, but if it should happen…. Now the Rules get much more detailed in terms of determining exactly what is a meeting, a crossing or an overtaking situation. And add to the potential confusion, what happens when a vessel is not under command, constrained by its draft or restricted in its ability maneuver? The Rules specify these definitions and how they can determine which vessel is stand-on and which is giveway. What about with three or more vessels? As far as I understand, the Rules do not address this situation (see NOTE above). Furthermore, it is not true that between a sailboat and a powerboat that the sailboat always is the stand-on boat or has the “right of way” (pardon me…). A sailboat should give-way to a power vessel restricted in its ability to maneuver and other situations. For example if a sailboat is using mechanical propulsion, even with sails up, it is legally a powerboat. If a sailboat is under sail and overtaking a powerboat, the sailboat is the give-way vessel. Some misinformed boaters believe that when a sailboat approaches a vessel engaged in fishing with hand lines and trolling lines, that the vessel fishing is the stand-on vessel. This is not correct. The boat with some lines out is not restricted in its ability to maneuver which is implied with a vessel engaged in fishing. A boat that is simply trolling is not necessarily the stand-on vessel simply because it is trolling, but must be viewed as a power driven vessel only to determine its responsibility. “Fishing” priority may be incorrectly claimed by some recreational boats trolling. If the vessel is fishing with nets, long-lines, trawls or other fishing apparatus which restricts maneuverability it would legally be the stand-on vessel to a sailboat. If it just has a line dangling over the side, it is just another power driven vessel according to the Rules. Of course a sailboater would demonstrate courtesy and good seamanship to sail well clear of a boat trolling lines if possible. All boaters should be familiar with the Rules of the Road, keep a copy on board and refer to the Rules when needed. The law requires that all vessels over 39’ have a copy on board. Make sure that yours is updated and is the most recent publication. 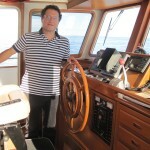 For practical, hands-on training on your boat or mine, please contact me, Captain Paul Foer by visiting my website www.foerfront.com. Be safe! Look cool! Have fun and don’t get hurt on the water.